Are you unsure if you’re the fostering kind? What does fostering a dog really entail? Have you contemplated fostering but thought “It would be too hard for me. I’d get too attached. I could never give them up.” What happens if the foster dog doesn’t get along with the pet(s) you currently have now? How long would you have the foster dog for? You’ve heard it time and time again ” Fostering saves lives” but how exactly does it save a life? Did you know that approximately 350 dogs are euthanized each hour in the United States in overcrowded shelters simply because there is not enough space at the shelter for them? These are adaptable, loveable, purebred amazing dogs whose time is up strictly because there is not enough room for them at the shelter anymore. I’ve had the honor and privilege to interview three dog rescue owners here in south Florida to get their input on fostering, ask questions and find out the truth about fostering. Jana Bradburn is the owner of Tails from the Barkside Pet Rescue. Tails from the Barkside is a 501c3 rescue organization, based out of Fort Lauderdale, Florida. They work to save abused, neglected and discarded dogs from the streets and local shelters in Broward and Miami-Dade Counties.They believe in quality over quantity and take in one dog at a time, working with our fosters to learn about each dog and it’s personality and abilities to ensure that each dog is eventually placed with the correct family. They are forever shining a light on those left in the dark! Why is fostering dogs a crucial part of rescue? Jana B: Fostering is an essential part of the rescue. Without foster homes, rescues can’t continue to pull dogs from shelters. We require a safe place for them to go, while an adopter is found. For most rescues, boarding is used as a last resort, not as a “foster” home/facility. Are there any costs involved in fostering? Jana B: The only costs involved with fostering are those that the rescue will incur. Medical care, food, preventative medicine, crates, bowls, tags, collars, leashes, and toys are all provided by the rescue organization. We are also happy to provide training when needed. The only thing that a foster needs to do is provide proper care and a loving environment for the animal. What should a foster home expect when the dog first arrives? Jana B: When the dog first arrives, it is critical that proper introductions be done between the foster animal and the existing animals in the home if any. Caution should be used when introducing a new member to the family, whether fostered or adopted, fur baby or human. Foster dogs are often scared, nervous and unsure of their surroundings. We have no idea of what they may have endured before coming to us. They will need love, comfort, and reassurance. What happens if a foster home falls in love with their foster dog and wants to adopt the dog? Jana B: Wonderful!!! We hate to lose a good foster, but the ultimate goal is to find a safe and loving home anyway. The foster would need to complete an adoption application and agreement and pay the appropriate adoption donation.We love a good happily ever after! Is it difficult to give up a foster dog when the time comes for the foster to move to their forever home? Jana B: Before starting my own rescue, I fostered for a few others. I was really concerned that I would fall in love and keep any dog that I took in. Going in with the mindset that it’s only temporary, helped to keep me from getting too attached. I also knew that I was helping to prepare a dog for a home life with someone else and that once that dog was adopted, I would be able to assist with that transition for another. Each one certainly left paw prints on my heart. How long do fosters usually stay in their foster home? Jana B: There is no set amount of time for us. We would always hope that a foster would be open to keeping the animal until an appropriate home is found. How are fosters promoted to find them forever home? Jana B: We have our dogs posted on several social media sites, including Facebook, Twitter, Instagram, and Reddit, as well as promoted on our website. They can be found on national sites as well, such as Adoptapet.com, Rescueme.org, and Petfinder.com. We also attend local adoption events. Tails from the Barkside received a call about an injured dog that was found in a yard after her owners moved out and left her behind. When they arrived at the home, Rey greeted them with a wagging tail and kisses galore! Rey is a sweet, funny, playful and loving girl who’s sure to steal the heart of everyone she meets. She is currently looking for her forever home. Please call 754-702-TAIL if you are interested in opening your heart and home to this sweetheart. Cynthia Clements is the owner of Luna’s Paws Rescue, Inc.
Luna’s Paws Rescue is a 501c3 local South Florida dog rescue. They are a small volunteer foster-based rescue. Their available pets are sometimes owner surrenders, homeless, abandoned, or come from a kill shelter.Their pets are up to date on vaccinations, have been tested for heartworms and other parasites, are on flea/heartworm medication, microchipped and spayed/neutered. Luna’s Paws Rescue is committed to finding their rescues their forever families one paw at a time. Will I ever get updates or pics of my fosters once they are placed in their forever home? Cynthia C : I pride myself on developing a relationship with my adopters and love to share pics and updates with fosters and others thru social media. It has been my experience that most adopters love to send pictures and updates. Why is fostering a crucial part of rescue? Cynthia C: Fostering is crucial to saving pets in need in several ways.In emergencies, an overnight foster is needed if a pet is awaiting transport the next day. A temporary foster is used while a pet is recovering or is sick and can’t be around other animals, sometimes a few days to a couple weeks or longer if an extended recovery period is required. A permanent foster is one who is committed to fostering the pet until a forever home is found, usually, a couple of weeks, sometimes as long as a couple months, occasionally even longer. Fostering pets is the backbone of any rescue, especially for ones such as myself who do not place their pets in boarding facilities. Are foster parents encouraged to bring their fosters to adoption events? Cynthia C: Yes, it is part of fostering to bring or arrange transport to adoption events. Fosters are encouraged to advertise their foster pets for adoption, one way are adoption events. They are encouraged to stay with their foster during the events, a big reason is so they can meet potential adopters and be able to tell them about their foster dog(s). Also, the pet would feel more secure being with their foster parent during an event. Can you foster if you have your own pets? Cynthia C: Absolutely, it is actually a good thing. Imagine fighting to survive, having no rules or boundaries, not having a safe place to eat or lay your head? Sometimes they have to learn how to live inside a house again, to live with a family, how to love and be loved, to play, to be a dog again. It takes understanding and compassion from the foster parents but for the other pets in the house it’s much simpler, they don’t know what life was like before, all they know is your a dog, and they can show you what dogs are allowed to do, where to pee, how to play, where to nap and how to get the best treats! What happens if the family fostering has an emergency or has to go out of town? Cynthia C: Transport to another foster would have to be arranged, either myself or a volunteer if the foster cannot transport to another foster. If another foster can’t be found and I can’t immediately take in the pet then I would have to place in boarding at a predetermined veterinarian. So far this has only happened once while I was out of town. Does fostering really save lives? Cynthia C: Absolutely! As much as I want to take every pet in need whether they are owner surrenders or homeless or in a shelter, it’s just not possible to do it alone. In 2015 I fostered about 50 dogs and one cat on my own, some for a few days and others up to 6 months. I would never expect a foster to take care of more than they could handle, of course, other people who would agree to take in one or two fosters at a time would be amazing! It really is rewarding to see how pets change from when they first arrive to when they find a forever home. To be able to witness this change has brought me to tears several times, even as I write this remembering some of my loves. To be part of their forever families is one of my greatest joys. We have play dates, catch up thru social media. You definitely make a connection with people who adopt your foster. Antolin is about 3 years old and weighs 17 pounds. He was put into boarding two years ago when his owner’s health was failing. Sadly his mom passed away and his father asked us to find him a new family. He is a little shy but is very sweet and quickly warms up. He loves playing fetch, LOVES squeaky toys, is crate trained, potty trained, and gets along with most other dogs. He would make an excellent addition for someone who can be a little understanding and give him a couple days to bond. if you are interested in opening up your heart and home to this cutie please call 786-708-9738. Saving Grace and Her Furry Friends Rescue is a 501(c)(3) Non-Profit Animal Rescue Organization that is dedicated to rehabilitating and finding loving homes for unwanted, sick, injured, abused, and neglected dogs. What are the rewards of fostering? Teri F: The rewards of fostering a dog is that the person who is fostering the dog gets to know and take care of the dog. If the dog is sick they help get the dog better. If the dog has emotional problems they help socialize the dog and make it more likely that it will be a dog that will be adoptable. Fostering is also important because if you’re interested in a particular dog it gives you the opportunity to try and see if that dog might be the match for you. What happens if my foster dog isn’t working out? Teri F: If the foster situation is not working out we try to look into why this might be possible and see if this problem can be remedied. If not we remove the dog as quickly as possible to try and eliminate unnecessary stress for the dog and for the foster family. Fostering dogs is the most important part of any rescue. Most good rescues put only foster dogs in homes that they have done home checks on. Our rescue just not believe in boarding dogs. It is very important to foster a dog because when the dog is ready to be adopted the foster family knows about the dog’s personality. This helps make the match a success!! Are purchases made for foster care tax deductible? Teri F: Yes if a foster purchases items for the dogs we can give them a receipt and they can use it as a tax deduction. What happens if my foster needs veterinary care? Teri F: All foster dogs go to the vet to get checked out for a number of different reasons. Number one all dogs get their shots that they need. All dogs get an examination by the vet. All dogs are spayed and neutered. In addition, any other veterinary needs are covered under our rescue. Bear is a 3-month-old male rat terrier mix black with one white Paw and a little white on his chest. He is one of the larger of the litter and extremely playful and can be assertive. He’s also very lovable and loves to give kisses. He looks like a mini, mini version of a black lab. Mom (Star) weighs 14 lbs. and dad unknown. Bear should weigh around 15 lbs. If you are interested in giving this sweetheart a home please call 954-562-8813. There are many stereotypes about pit bulls in today’s society, but how many of them are actually true? Are they really the “vicious” dogs people make them out to be? The media seems to only focus on “attacks” committed by dogs perceived to be Pit Bulls. It’s really a terrible stereotype that hurts pit bulls. According to the ASPCA 1.2 million dog in shelters are euthanized each year. Different studies show that 800,000 to 1 million of these are pit bulls. A Pit Bull isn’t a breed, but a classification of 25+ breeds/mixes based on similar physical characteristics. Why are there so many odds against pit bulls? To start off, hundreds of jurisdictions across the country ban or otherwise restrict ownership of these dogs – which leads to people not being able to adopt these dogs from shelters or rescues if they live in a certain jurisdiction.This also results in pit bulls being taken away from their families if they live in a jurisdiction that doesn’t allow pit bulls.When someone is moving, housing and apartment complexes make it very difficult to have a pit bull there. So these dogs are basically getting judged by their appearance and not facts. I can personally say that owning my own pet sitting company and being a professional pet sitter and dog walker that pit bulls are some of the most sweetest,gentle and most accepting dogs I have ever watched. Recently I had the pleasure of interviewing Nicole Arndt, the director at Loxahatchee Animal Rescue who works with and interacts with pit bulls on a daily basis to get her input and experience on pit bulls. What is the biggest misconception you see when dealing with the Pit Bull breeds? Nicole A: Being in Pit Bull rescue I see many misconceptions, but the most prevalent is that Bully breeds are inherently dangerous. This is far from the truth. Typically Pit Bulls are sweet, loving, and gentle. They are intelligent, athletic, resilient, and forgiving. Pit Bull type dogs have been taken out of the most horrendous of situations and go on to be family, therapy, service, agility, and even K9 unit working dogs. Why do you think pit bulls are the number one dogs being euthanized in shelters across the country? Nicole A: The high number of Pit Bulls euthanized every year is not the fault of the shelters. The problem begins in the community. Backyard breeders who have zero concern for the already existing thousands of Pit Bull type dogs in shelters, proper breeding standards, and people who only view their dogs as a source of income are a large part of the shelter overcrowding issue. Also, many county shelters are underfunded thanks to the government officials who decide funds are best designated elsewhere. Being underfunded and understaffed makes it more difficult to enforce spay/neuter regulations and breeder permit purchases. In addition, breed specific rules when renting or purchasing a home make it very difficult for those who genuinely love their Pit Bulls to move and be able to take their dogs with them. All too often families are forced to surrender their dogs to a shelter feeling like there are no other options available. In order to reduce shelter overcrowding therefore reducing the number of Pit Bulls put to sleep community members need education and resources to become responsible owners. The backyard breeding cycle needs to end and the “dangerous breed” list needs to be eliminated.In order to reduce shelter overcrowding, therefore reducing the number of Pit Bulls put to sleep, community members need education and resources to become responsible owners. How are rescues trying to change the public’s perception of Pit Bulls? Nicole A: Education is key in changing the public’s perception of Pit Bulls. I always tell anyone interested in adopting a Pit Bull type dog to educate themselves on the history of the breeds and ACCURATE statistics beyond the information I relay during the conversation. Learn the truth about Breed Specific Legislation (BSL) and be able to have an educated, calm, and factual conversation with someone should the need arise because inevitably it will. It is our job as rescuers to educate a potential adopter on the importance of becoming a positive representation of Bully breed owners and the fact that it’s a big responsibility. Part of being a responsible Pit Bull owner is making sure your dog(s) is the best Bully breed ambassador possible. The dog doesn’t have to be perfect as that’s not realistic, but proper training, obedience, containment, and socialization are of the utmost importance and it’s our responsibility to be a resource. As rescuers it’s our duty to choose adopters carefully and place our available Pit Bulls in the care of those who are open and willing to break stereotypes. It’s our duty to send Pit Bulls out into the community who are living proof that the breeds are wonderful. At events L.A.R.C. makes informational literature available to those who stop by our area. We answer questions and are honest about the dogs in our organization including any quirks the dogs may have which is a must to find the best fit for all involved. Do rescues ever talk to the media to get a positive message out? Nicole A: The media is very tough on Pit Bull type dogs and tend to use sensationalist tactics to target those who have certain physical characteristics when an unfortunate incident occurs. Typically media outlets aren’t interested in positive Pit Bull stories because they don’t garner enough attention, but that doesn’t stop most of us from trying. When a positive Pit Bull story goes public rescues are sure to share across social media. Rescues even reach out to media contacts who report on animal related topics if we have a story to tell about our adoptables. Sometimes we get a response and sometimes we don’t. When large dog fighting rings or abusive situations are reported they provide an opportunity to show the world who the real victims are and to prove that it’s not “all in how they’re raised” when those dogs go on to lead happy lives as loving dogs. What are rescues doing to get Pit Bulls adopted? Nicole A: Social media has become a great resource for getting dogs adopted. It provides rescues the opportunity to showcase their adoptables and tell each dog’s story to a large number of people. Social media can be particularly effective when taking in and providing medical care to a dog in need. The dog’s process can be followed from start to ready for a forever home and often times a follower will fall in love and want to adopt. Adoption events, local community events, and even trips to pet stores are a way to show off available dogs. Bringing Pit Bulls in public is an awesome and important way to change minds and get dogs adopted. Showing people in person that the breeds love to give kisses, have cute Pit Bull smiles, wiggling butts from fast wagging happy tails, can be well trained and loving, and can become a part of a family just like any other breed not only increases the chances for adoptions, but breaks stereotypes too. Providing proper training and socialization to adoptables while in the rescue’s care are vital to a dog’s chance at a forever home. What do rescues do to help rehabilitate and train them to make them adoptable? Nicole A: Generally obedience training and acclimation are what’s needed to make a dog in need of a forever home available, but there’s no one answer to this question. Rehabilitation and training take place on a case by case basis. Some dogs may just need time to learn how to be dogs or recover from a medical condition in a foster home. Some may need to be in homes that fit their needs. For example, a home with no other dogs or cats. That’s OK and goes for any breed. Dogs should be judged as individuals and plans made to suit the needs of each. There are times when a dog needs to be in the care of a professional dog trainer for a length of time. The focus is and should always be what’s best for the dog whatever that might entail. Nicole A: L.A.R.C. is a small 501(c)(3) nonprofit foster and donation based rescue working with Palm Beach County community members both two and four legged. Our rescue is a bit different, however, in that we not only want to save the lives of animals in need, but EDUCATE the community, as well. Our goals are to help community members keep their pets by becoming a trusted resource for what is needed to do so and give animals in need a second chance at a happy life. We fully believe in our “Educate, Act, and SAVE A LIFE” L.A.R.C. is a team of Pit Bull lovers and advocates determined to change the perception of the public. 1.Chocolate – Although many humans may enjoy chocolate, it can be deadly if your dog eats it. Theobromine and caffeine in the chocolate is what makes it deadly for dogs. The darker the chocolate, the more dangerous it is for dogs. How it harms your dog: abdominal pains, vomiting, muscle tremors, irregular heart rhythm, elevated body temperature, seizures and death. 2. Garlic – This is another food you want to keep away from your dog at all times. Garlic is classified as a species of the Allium family. Other species in the Allium family include onions, shallots, leeks and chives. Unfortunately, dogs and cats cannot digest these particular plants as we can. The ingestion of Allium species in dogs causes a condition called hemolytic anemia, which is characterized by the bursting of red blood cells circulating through your pet’s body. How it harms your dog: While the effect of garlic consumption to red blood cells won’t appear for a few days in dogs, they’ll be tired and reluctant to move. The dog’s urine will be orange to dark red in color. A blood transfusion might be required in severe cases. 3. Grapes- Although grapes are healthy for humans, grapes can be extremely toxic to dogs. It doesn’t matter whether the grapes were grown in your own garden or were commercially grown, nor whether they are seeded or seedless. While its currently unknown what chemicals and compounds are in grapes that cause toxicity to dogs, the results of consumption can be pretty devastating. How it harms your dog: Grapes and have recently been associated with the development of kidney failure in dogs. Some dogs eat these fruits and experience no ill effects—but then eat them later on and become very ill. Until the cause of the toxicosis is better identified, the safest course of action is to avoid feeding grapes to your dog. Dogs experiencing grape or raisin toxicosis usually develop vomiting, lethargy or diarrhea within 12 hours of ingestion. As signs progress, dogs become increasingly lethargic and dehydrated, refuse to eat and may show a transient increase in urination followed by decreased or absent urination in later stages. Death due to kidney failure may occur within three to four days, or long-term kidney disease may persist in dogs who survive the acute intoxication. Successful treatment requires prompt veterinary treatment to maintain good urine flow. 4. Xylitol- Xylitol is a artificle sweetener that is widely used in sugar-free gum, sugar free mints, as well as sugar substitute in foods. How it harms your dog: Dogs ingesting items sweetened with Xylitol could develop a fairly sudden drop in blood sugar (hypoglycemia), vomiting, depression, loss of coordination and seizures. These signs can develop quite rapidly, at times less than 30 minutes after ingestion of the product. 5.Ethanol (Also Known as Ethyl Alcohol, Grain Alcohol or Drinking Alcohol). Ethanol is an alcohol that is used commonly as a solvent (liquid that dissolves) in medications and is the major ingredient of alcoholic beverages. It’s also called ethyl alcohol and grain alcohol. Toxicity occurs in dogs when an excessive amount is ingested, and can cause a wide variety of signs, including death. How it harms your dog: Weakness and slow movements, fainting, panting, lethargy, dehydration and foam around the mouth are just some of the serious side effects from ingesting ethanol. 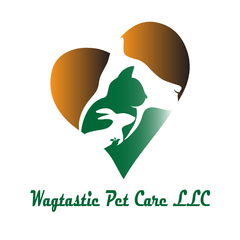 Wagtastic Pet Care is a professional pet care company. Our clients know that they are trusting their loved ones and their homes to a well-established, experienced, qualified and insured business. We are members of Pet Sitters Associates LLC and are Pet CPR and First Aid Certified through Pet Health Academy. Customized Services:We realize that no two homes or two pets are exactly alike, so we offer a wide variety of services to precisely fit your needs. You will tailor your own pet care plan. We offer an estimate of all charges before our registration meeting. We are here to provide our clients with a phenomenal pet care experience. This is done not only with top-notch pet care but also with spectacular customer service. We understand the value of open communication. You can reach the office between the hours of 8am & 8 pm. We also monitor the voice mail and email in the off-hours in the case of an emergency. Additionally, we keep you updated on your furry loved ones by sending you texts and emails with pictures every time we visit your pet. Wagtastic Pet Care was founded on my deep passion for animals, which this is still the root of our success. At Wagtastic Pet Care we make it our priority to provide your pets with as much love and attention as you would. Our purpose is to promote your pet’s health and well-being.